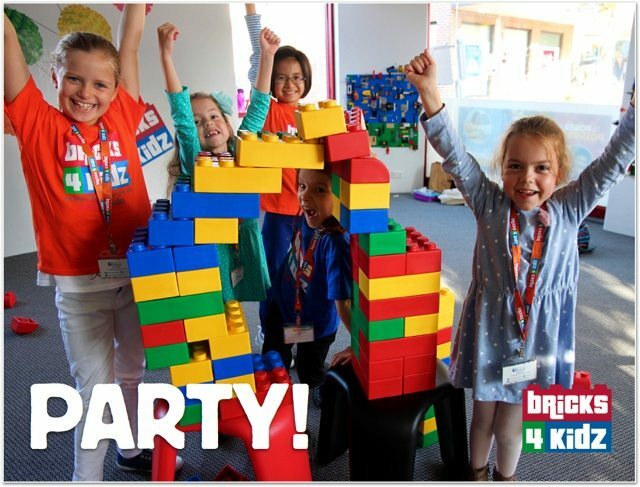 Best Birthday Parties with LEGO® in LOGAN CITY and HOPE ISLAND! 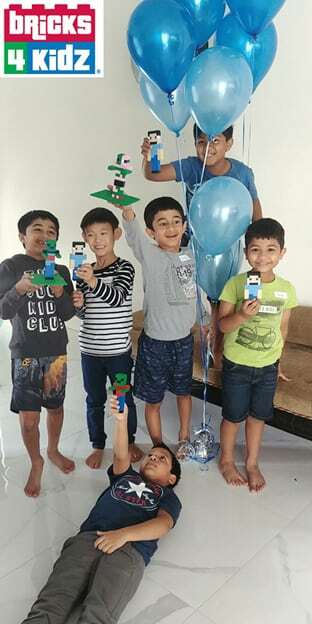 A LEGO® brick building birthday party is the most popular choice in LOGAN CITY and HOPE ISLAND for a fun-filled event your child will ALWAYS remember – and ours are the BEST! Venue Hire Now Available at ONLY $40! The timeless fun of LEGO® Bricks is sure to be a crowd pleaser. BRICKS 4 KIDZ® Logan City provides a mobile birthday party solution as we do not have our own venue. We will customise the party so it is perfect for your special birthday boy or girl! Kick off the action with loads of colourful creative-play LEGO® Bricks, then keep the momentum going with LEGO®-based games and activities. Smiling faces, happy voices, and busy hands – these are the sights and sounds of a BRICKS 4 KIDZ® party. Choose any of our FUN & POPULAR Birthday Party Ideas! Super easy. Just fill in the Contact Us form with your requirements and one of our awesome staff members will follow up with you! We’ll discuss your party needs, confirm the time and date with you, and then issue you an invoice for a deposit. Once we’ve received your deposit, your preferred time and date is secured – that’s it! Final numbers and payment will be due one week prior to the party. BRICKS 4 KIDZ® Logan City does not have its own venue. We provide a mobile service which gives you the flexibility to hold your event or party at your preferred location. The prices quoted on our website do not include the rental cost of your venue choice. What time slots are available for parties and events? We can work around your preferred time on Saturday or Sunday. We can also host parties after school on any day during the week, including Friday afternoons! We host AWESOME parties for kids from four years old and above, if all of the guests attending are four or older! Our party activities are not suitable for children under four years of age. We can cater for up to 24 children, although this is of course also dependent on the party space. We offer an option for food and drink catering, and are also able to provide with a delicious choice of cakes/cupcakes. Just let us know your interest via the Birthday Party Enquiry form. Parents are more than welcome to stay for the duration of the party! Can you do other events, like Weddings, Christenings, Christmas parties and Family Days? Yes! Give us a SHOUT to talk about plans for Weddings, Christenings, Christmas parties and Family Days – we do those too!